So whats in it? Well quite a lot. Writing all of this was a lot of fun–I learned a whole ton, especially when it comes to VVol replication. What is has to offer and how it works. I wanted to get this out sooner, but I kept writing more workflows. But I’m finally happy with it enough to release version 1.0. Register VASA Providers–this registers both FlashArray VASA providers to a vCenter. Unregister VASA Provider–this unregisters a selected VASA provider. 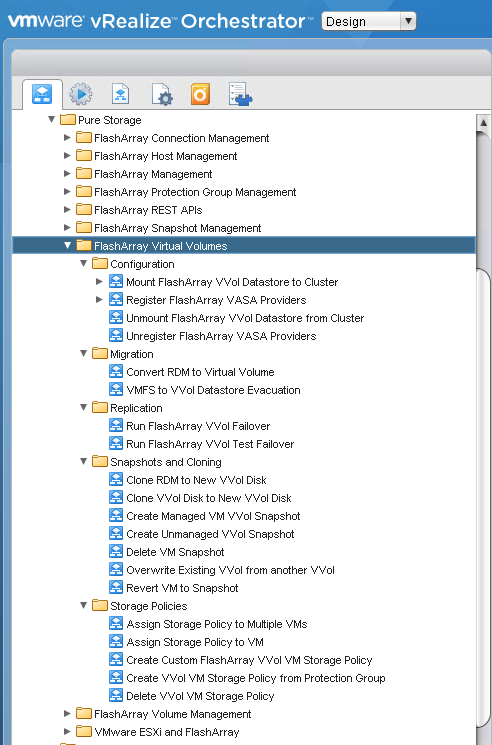 Mount FlashArray VVol Datastore to Cluster–this takes in a FlashArray and a vCenter Cluster and mounts the VVol datastore to it. It will add a protocol endpoint to the hosts if it is not already presented. Unmount FlashArray VVol Datastore–this will remove the FlashArray VVol datastore from a given cluster (if there are no registered VMs on it). Convert RDM to a VVol–this takes in a VM, a RDM and a VVol datastore on the same array as that RDM. A new VVol is created and the RDM is copied to the VVol on the array (instant meta-data copy) and the RDM is removed and deleted on the FlashArray. 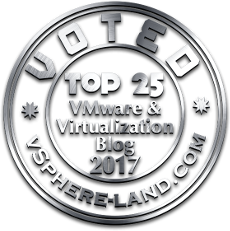 VMFS Evacuation–this will take all of the VMs on a VMFS and Storage vMotion them to a VVol datastore. If the VMFS is empty at the end, it will unmount the VMFS and delete the underlying volume. Clone RDM to New VVol Disk–if you have an existing RDM, it will clone it to a new VVol on the same FlashArray as the RDM and present it to a VM. Clone VVol disk to a new VVol disk–This will take any VVol and create a copy and present it to another (or the same) VM. Create Managed VVol snapshot--this creates a managed snapshot of the whole VVol VM. This will return the VM snapshot and the various FlashArray snapshot objects that were created. Create Unmanaged Snapshot--this will create a FlashArray snapshot of the volume that is the specific data VVol and return the FlashArray snapshot. This bypasses VMware so only the selected volume is snapshotted. Overwrite Existing VVol from another VVol--this takes in a VVol and another VVol on the same array and overwrites it. If the target VVol is a different size it will either resize it force (VMware requires this even though the FlashArray doesn’t). It will grow the target as needed, or if it is smaller, it will delete it and create one with the correct size (VMware doesn’t allow shrinking a VVol directly). FlashArray VVol Test Failover–run a SRM-like VVol test failover for replicated VVol VMs. Includes clean up. FlashArray VVol Failover--run a planned migration or disaster recovery failover of replicated VVol VMs. Includes reprotect. Assign Storage Policy to Multiple VMs--this will Storage vMotion the VMs to a compatible VVol datastore (if needed) and then assign and set the policy on the VMs. Assign Storage Policy to a VM--You can choose to assign a policy to the whole VM, the home directory (config VVol) or a single virtual disk (data VVol). This will then Storage vMotion the selected object to a compatible VVol datastore (if needed) and then assign and set the policy to it. Create a new VVol VM Storage Policy–this allows you to choose from a variety of capabilities to create a new customer policy. You can have it created in one or more vCenters at once. Create a VM storage policy from a FlashArray protection group. This takes in a FlashArray protection group policy and creates a VM Storage Policy in vCenter ( or more than one vCenter). This will import the local snapshot and/or replication policy as well as replication targets etc. and add them to the policy. Delete a VM storage policy. Get FlashArray volume VVol type (config, data, swap, etc). Helper. These are some basic actions I kept using to help the other workflows. If I do the same thing more than one, I make it an action instead of a scriptable object. VVol replication. Getting replication groups, failure domains, matching replication groups to FlashArray protection groups, etc. There are a lot in here. VVol datastores. This is about mounting, unmounting, getting the FlashArray object of a VVol datastore, etc. VASA. Translation of VASA providers to arrays, getting the active provider etc. I will be updating this workflow package as needed and adding more actions, workflows and features. Please send along feedback! Let’s look at some demos! Previous PostFlashArray Plugin 2.0 for vRealize OrchestratorNext PostWhat is the latency stat QAVG?